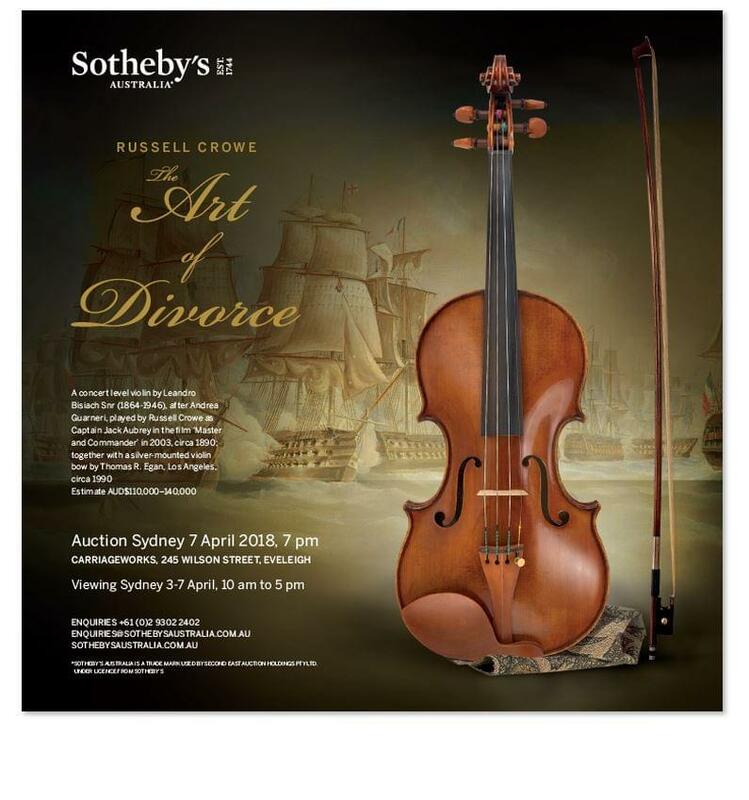 Russell Crowe’s Leandro Bisiach violin has sold at Sotheby’s Australia for AUSS$167,400 (£89,700) – a record for a Bisiach at auction. It was one of 227 lots for sale in the Oscar-winning actor’s ‘The Art of Divorce’ sale. Ingles & Hayday is delighted to help Sotheby’s in cataloguing and researching the violin, by the leading Milanese maker Leandro Bisiach (1864-1946). The instrument was used by the Hollywood star as the character ‘Captain Jack Aubrey’ in the film, Master and Commander (2003) and is dated 1890. Crowe learned to play the violin for the role and bought the Bisiach as he felt his character would have played a finer instrument than the one he was given by the film’s prop department.